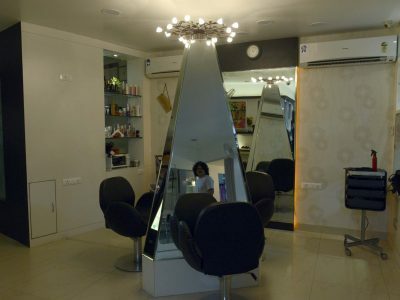 Coming from a rural background and pursuing family s profession, comrade Bhanwar Lal ji with a dream of setting up a grand salon with modern tools and equipments and providing hygienic and professional environment to his clients, lead to the foundation of Prabhat Haircutting Salon in between 1959-60 on the eve of Makar Sakranti. At the time of inauguration he said that this salon will bring light / sunrise to all those who are associated with this profession. Later he was joined by his youngest son, Mr. Bharat, who from a young age started to follow his father’s footprints and now owns Prabhat Beauty Centre (Chetak Circle) joined later by his wife, Kanta. Bhanwarji’s second son, Mr. Ashok Paliwal from an early age was interested in politics and became president of SFI (Students Federation of India) at a very young age. His wife Ms. Asha Paliwal joined Mr. Bharat and started beauty services for clients after receiving diplomas from Shahnaz Hussain, Blossom Kochhar. 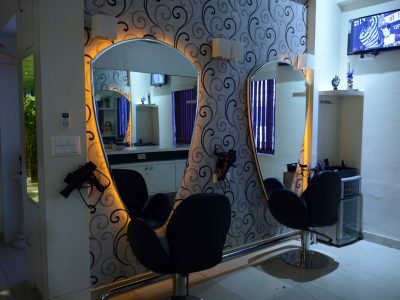 Later in 2000, when Mr. Ashok accompanied Asha to learn hairdressing from Jawed Habib, with the encouragement and boost from Asha and Mr. Habib he decided to join family’s profession and learned hairdressing skills from Mr. Habib. 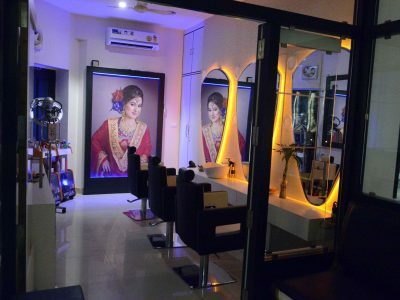 In 2006, with the idea of expansion, Ashok and Asha Paliwal started Prabhat Spa, Salon n Institute at Panchwati and later was joined by their daughter Shwetasha and son in law Pushkar. From 1960 to 2016, their has no looking back and till now we have been follows Bhanwar ji’s said lines and footsteps. From styling Dilip Kumar, Devanand, director Raj Khosla, TV actresses, music artists, film artists and winning national and international awards, we had made our own path and had achieved success as well as made our Udaipur city proud. To create awareness among the masses, we used to give personal grooming classes to women’s clubs of Udaipur, give summer classes to Udaipurities arranged by leading national Newspapers Dainik Bhaskar and Rajasthan Patrika. We used to train and groom rural and backward classes students with local NGOs. Under the banner of ‘Sen Shore Kalakar Mandal’ we had united gent’s hair experts of Udaipur. As well as started a national organisation to unite gents and ladies hair experts of India and provide them national and international platform to show their skills and talents. Recognised all over India and associated with almost all the celebrity professionals and beauty and spa professional networks. At Prabhat we introduce you to fully trained, certified and professionally qualified staff to meet your skin, hair and beauty needs. You can say that each and every member of Prabhat has won national or international awards. Prabhat offers a wide array of services, products and innovative techniques including the use of top of line equipment and products. When you want to relax please visit and experience the Prabhat Spa Treatment. Lounge on comfortable couches as you relax taking in radiant visuals on plasma TV or taking in the music. Finally driff away as our professional staff pampers you with a beauty and spa treatment that will surely put you in a peaceful state of mind.